While the name apple bread is often used for sweet apple loaf cakes, I’ve tested a few proper apple bread recipes recently. Not cakes, not strudels, not tarts – breads! It’s been a great success – try some of the best apple bread recipes for yourself! 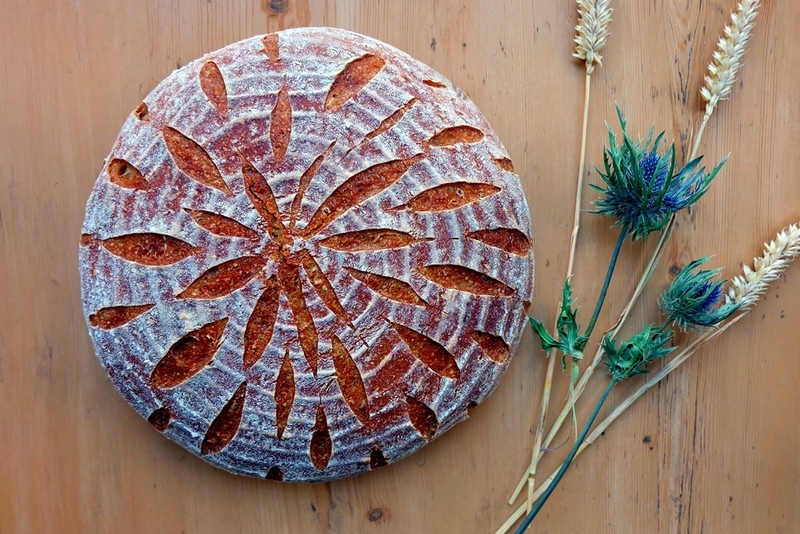 The first recipe I tried is from this excellent book by Dan Lepard: The Handmade Loaf. The apples are finely grated and added to the dough right at the beginning. 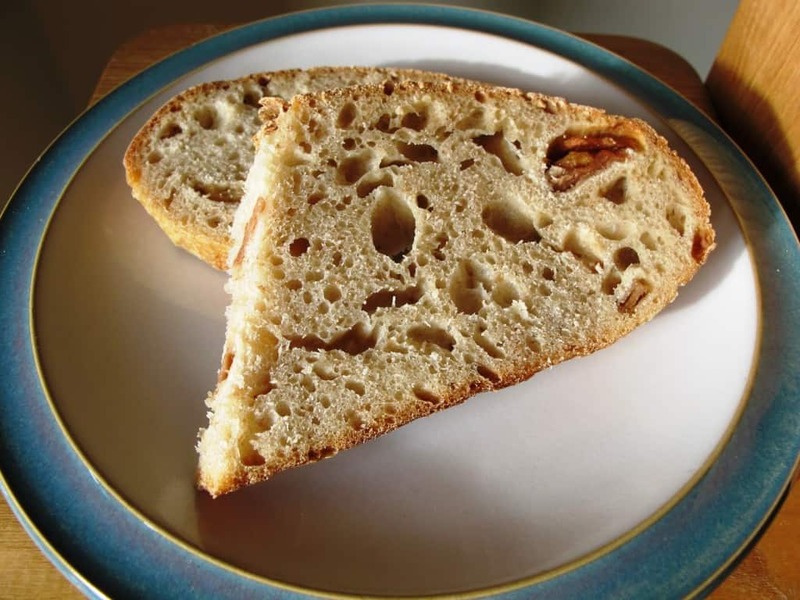 Although fairly inconspicuous in the final loaf, the grated apples make this a very juicy and fine loaf of bread which is equally suitable for the breakfast table as it is for a rustic afternoon snack. Apple & rolled oat bread – you can see the grated apple pieces if you look closely! 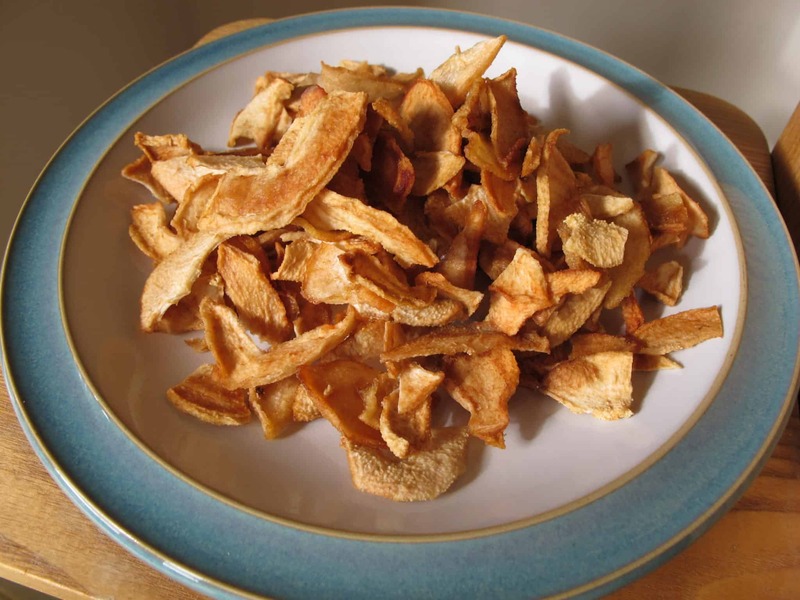 Here are some snaps of my dried apple slices and the final product. 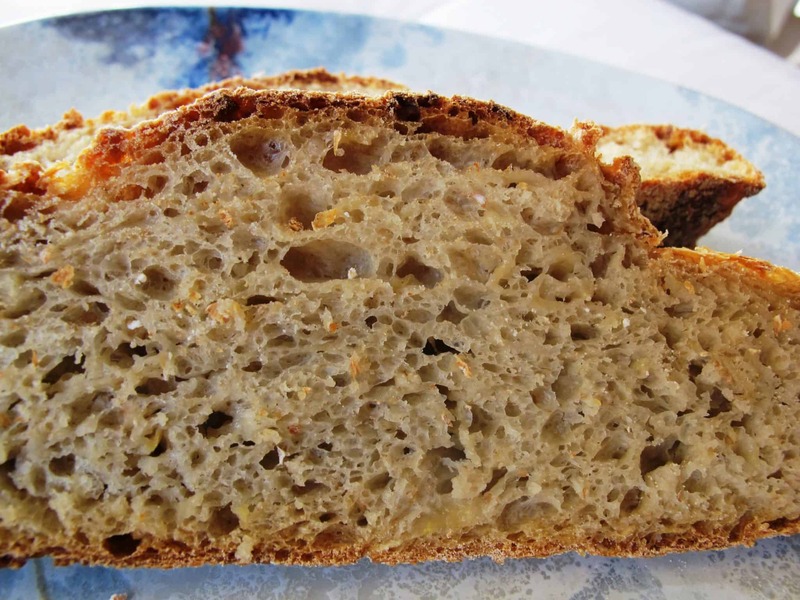 The dried apples add a certain level of sweetness to the bread. Very nice with just butter and a cup of tea. 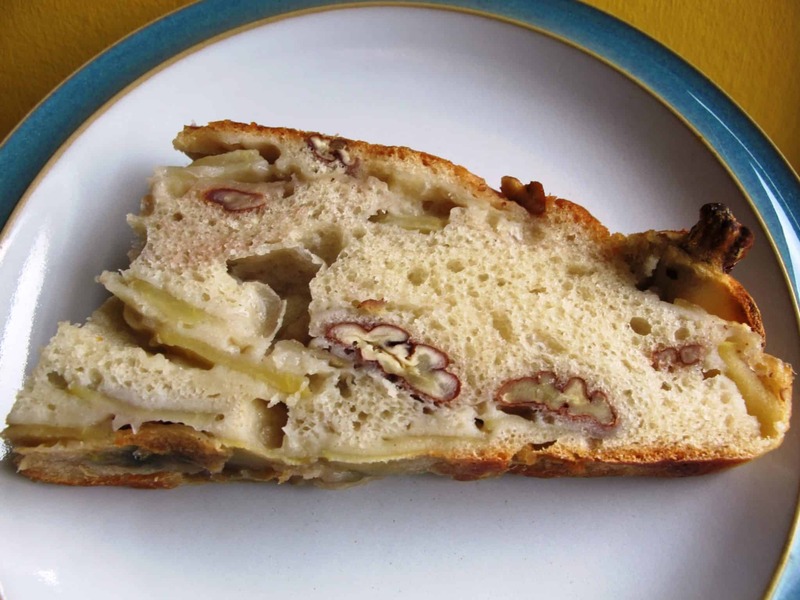 Finally, a sweet apple focaccia recipe by Nigel Slater, using fresh apple slices which are added – alongside the pecan nuts – to the dough after the first prove. 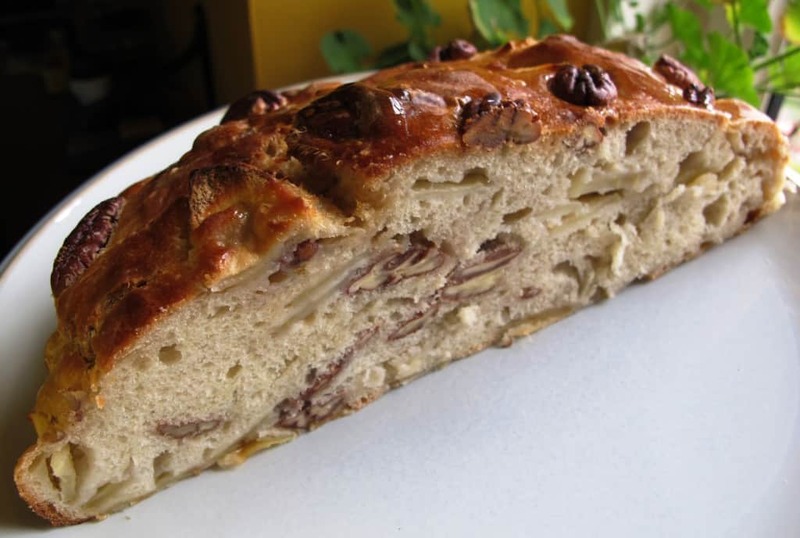 This focaccia is BEAUTIFUL – not too sweet, but sweet enough to qualify as dessert bread. I’ll be adding this to my list of regular bakes! Combine all ingredients except apples, pecans and maple syrup in a large bowl. Lightly knead the dough for 5 mins. Shape the dough into a ball and place it back in the bowl. Cover the bowl with clingfilm and keep it in a warm place for about 1 hour. In the meantime, peel, core and slice the apples, then knead the apple slices and most of the pecans into the dough (keep a few pecans for the top). Put the dough into a round cake form lined with baking paper (the one I used was 23 cm diameter). Set the oven at 220°C/gas mark 7. Cover the tin with a clean kitchen towel and leave to rise for another hour. Just before baking, trickle a little olive oil over it. Put the loaf in the hot oven and bake for 35 to 40 minutes until golden brown and crisp on top. Drizzle maple syrup over the top and let it soak in. Leave the bread to cool on a wire rack.